The Flexello Series 55 Series of swivel casters can move medium-to-heavy loads over rough floors and in difficult environments. 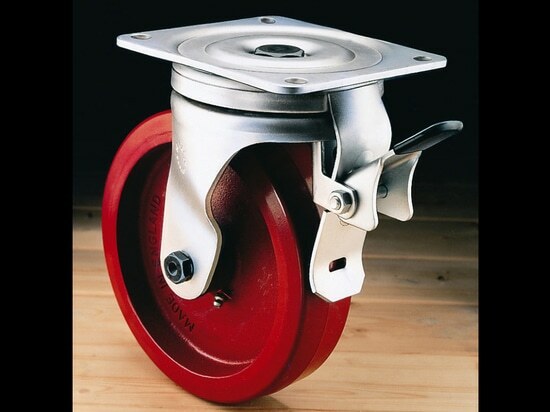 The pressed-steel casters feature a formed-leg design for added strength. They are ideal for use on industrial carts and mobile tables, heavy-duty machinery, aviation and aerospace stands. 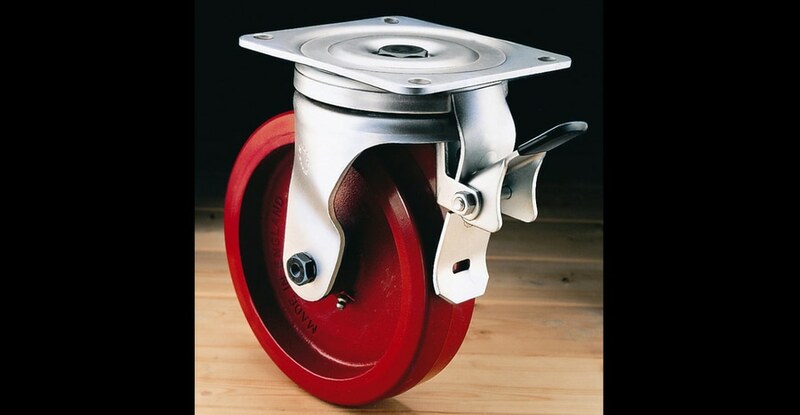 The casters are available in wheel diameters of 6 and 8 inches with either rubber-on-cast-iron or polyurethane-on-cast-iron wheel materials. The 6-in. wheels’ overall height is 7-3/4-in. ; swivel radius is 4-3/8-in. ; tread width is 1-3/4-in. ; and dynamic load capacities of 814 lb. for rubber tires and 1,386 lb. for polyurethane tires. 8-in. wheels’ overall height is 9-5/8-in. ; swivel radius is 6-in. ; tread width is 2-in. ; and dynamic load capacities of 1,177 lb. for rubber tires and 1,595 lb. for polyurethane tires.